Is anyone else out there confused about what the heck RSS is? This is the best explanation we have found so far by a social design consulting company called Common Craft. These guys produce short videos that explain prevalent but widely and wildly misunderstood tools and concepts on the internet. 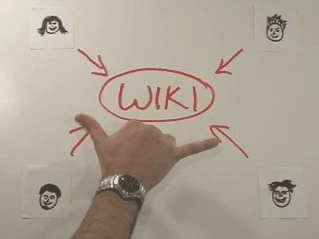 Using their trademark “Paperworks” technique, they create fun and extremely helpful introductions to social networking software, Wikis, and RSS. You can also commission your own Paperworks instructional. 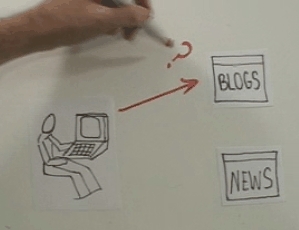 With the words Wiki and RSS thrown around all the time now, these videos serve as a nice intro for the novice, or for “experts” who want to teach others about the benefits of these tools. This is a great resource to go along with the recently added “New to Podcasts” feature on the Pop!Tech Pop!Casts page, which is a primer of sorts, for those who have some questions about what podcasts are, how to get them, and what you can do with them.